I attended two different reunions this past weekend. We had our 40 year high school class reunion on Saturday, and our 81st family reunion (on my mothers side) on Sunday. They both took place in my hometown of Saginaw, Michigan. I like reunions. I like them because they make me think. They make me remember. They make me relive and understand better where it is I have come from. That’s not always a great picture, but it is a real picture. I truly believe that the person that I am today, right now, at this very moment, is the culmination of every event, interaction, and person that God has placed in my life, from the moment of inception until now. Nothing happens by chance. God knew from the very beginning of time what family I was going to be born into. He knew who my friends and classmates were going to be. He knew Janet before I did, and brought us both together at just the right time. He knows every breath that I am ever going to take, and He certainly knows the last breath that I will ever draw. Reunions are a way of remembering how our lives are sewn together. A patchwork of different people all thrown into the mix. It’s about cousins and Aunts and Uncles getting reacquainted with each other, and remembering those who are no longer with us. It’s about re-telling old stories and looking at all of the tattered photographs from years gone by. It’s about how it all began on some old farm that existed long ago. Reunions are about walking into a room and seeing a bunch of your old classmates and immediately going back in time. The giggling, the laughing, and sometimes the blushing, at memories from way back when. It’s about how each person has touched your life in some way, shape, or form. 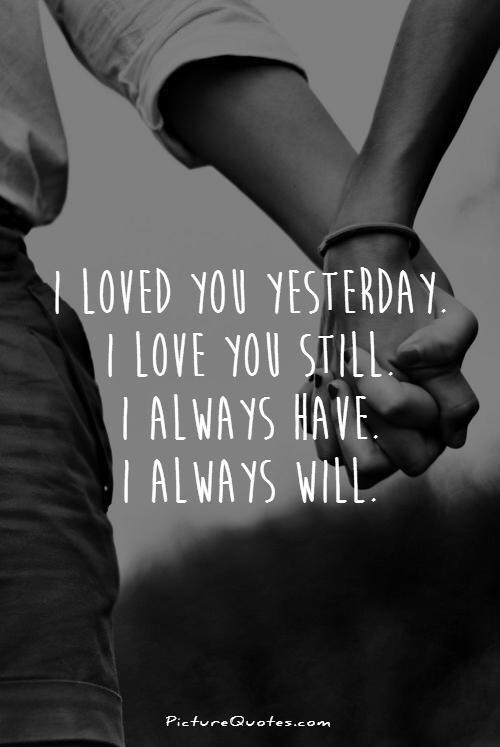 From your best friend, to the classmate you barely knew, each interaction adding to the outcome of your life. We all have the tendency to slide off of the path from time to time and to get full of ourselves. To think that we are where we are because of who we are. Because of what we have done. Nothing could be further from the truth. We are who we are, and have done what we have done, because God has allowed it to happen. He has molded, shaped, and designed us to be exactly who we are. There are 7 billion people on this planet for a reason. We are not meant to be alone. Reunions remind me of that. They remind me that God has infused people into my life, just as He has extracted people out of my life. Each having varying degrees of impact as to who I am. This also reminds me, and in no subtle way, that every interaction that I have with someone else, however large or small, has an impact on their life as well. My hope is that as I reunited with some of my cousins and Aunts and Uncles and old high school classmates this past weekend, that I was able to interact with them in a way that was God honoring. That I was able to get out of the way of myself and to show them the love, and the respect, and the kindness that they all deserve. Reunions are one of Gods ways of reminding us of where we have come from. They are also His way of letting us know where we should be headed. What a great weekend it was! God bless all of you! WHEW! That was quite an experience! Nothing like having a few hundred volts of electricity sent coursing through your heart to bring your purpose, or actually God’s purpose for you, clearly back into focus. I am a stubborn man by nature, as my wife, Janet, has all too often had to point out to me, and of which I cannot deny. This became very clear back in the early part of March. I will not bore you with all of the details, but let’s just say that I woke up one morning with a little heart fluctuation issue. Now most people, after an hour or so of this, would probably call a doctor or go to the hospital. Me being the manly man that I am (stubborn), thought I would tough it out for a bit and it would eventually just go away. THREE DAYS LATER (very stubborn, and not that bright), Janet and our daughter insisted on taking me to the emergency room. I was so exhausted that I could no longer conceal what was going on. I walked into the emergency room and told the very nice lady at the check in desk that I was having a heart fluctuation issue. She right away directed me into a room where there was a nurse waiting to check my vitals. She sat me down and calmly began to take my pulse. The next thing I know, she is on the phone calling what sounded like the medical equivalent of the swat team. She walked me directly across the hall and opened a door to a room with no less than ten medical professionals just waiting for me. They of course laid me down on a table, started putting in I.V.’s, and began strapping electrodes all over my chest. The doctor asked how long my heart had been racing like this. It was now Wednesday afternoon, and I told him that it had been beating like this since Monday morning. Everyone in the room just kind of stopped and looked at each other. Then they all turned and looked directly at me. Me, trying to lighten the tension in the room, said, “what seems to be the problem, doctor?” He, the doctor, was apparently not a lighthearted kind of guy. He quite directly and matter of factly told me that my heart rate was at 206, and had been in that range for the past three days. They had to get me out of that rhythm as quickly as possible. They started by injecting me a couple of times with a drug that was supposed to bring my heart rate back down to normal. That did not work. That is when they decided they needed to shock me back into normalcy. That did the trick. I ended up spending the night in the hospital for observation. They conducted some more tests and concluded that there was no damage to my heart. One of the attending medical professionals mentioned that I should have been wearing one of those fit bit’s. He said that it probably would have measured that I had run the equivalent of over ten marathons (I guess I can now check running a marathon off of my “bucket list”). All of the medical professionals that I did see during my stay did say the same thing: “Don’t be so stubborn and wait so long if this ever happens again”. This was not one of my better moments and I realize now the risk that I was taking by doing nothing. Being stubborn is not one of my finer qualities and never has much of an upside to it. It also made me realize, once again, how fragile life is and that tomorrow is not promised to us. I’m not going to continue to spend my days having faith and not doing anything about it. 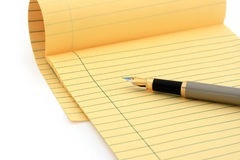 God has blessed me with a passion for writing. A passion for sharing my thoughts, my ideas, and my journey, with others. It gives me the chance to be an open book and to share my faith in a way that I might not be able to do otherwise. I stopped writing because I got “busy” with other things. Other things that I now know were not that important, but were just my way of putting off what God had been whispering in my ear for such a long time to do. I may just shine shoes for a living, but that does not define who I am. God has intended and created all of us to be more than what our day jobs are. He has created us and given us the opportunity to have faith and to take action that reflects that faith. I am sharing all of this with you now for a couple of reasons. One is so that you will continue to know a little more about me and who I am. The other reason is so that you will help me to be held accountable. Accountable to take an action. We were not meant to take this journey by ourselves. I certainly know that I cannot do it alone. 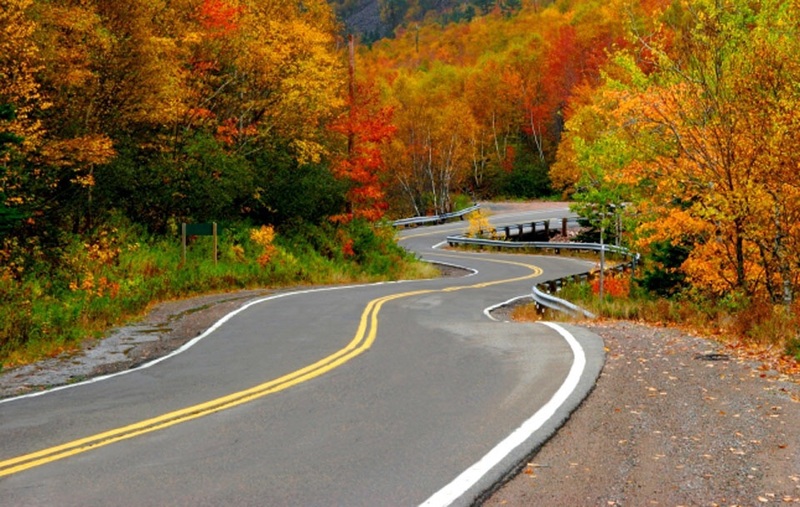 I need others to come alongside and help me on this rocky road we call life. Holding each other accountable is part of that journey. God touched my heart in a very special way back in early March. Even if it did take a few hundred volts of electricity for me to really feel it. God bless all of you and the actions you take today! A follow up to the last blog that I wrote, dated January 20th, 2016, and titled, “Things will never be the same.” In that post I mentioned a talk that I was invited to give in Dallas, Texas on February 24th. It was at Park Cities Baptist Church during a luncheon for about 100 people made up of mostly baby boomers and seniors. As I was speaking and looking around the room, I could not help but see so many people wiping away their tears. I could see them nodding their heads as if to say, “I hear you. I’ve been there. I understand that.” I felt a bond and a connection that I had never felt before. As I told my wife, Janet, on our flight home that night, I felt moved by the Holy Spirit. It was as though I had opened up a big window into my soul and allowed them to take a look inside. I WAS BEING TRANSPARENT. It’s like having a festering wound that never gets treated and continues to spread. The longer you let it go the worse it becomes. There are only a few ways to treat a wound that has gone on for so long and has become extremely infected. You can cut the part of the body off that is sick, or you can administer heavy doses of antibiotics and hope that they will kill the infection. None of what has happened to me over the last few years has been by accident or was some kind of coincidence. I didn’t receive a phone call over a year ago from a book publisher by shear luck. I wasn’t asked by Dr. Nat Burns with Park Cities Baptist Church in Dallas, Texas to come and talk to his group by mere chance. It wasn’t a coincidence that on the same day this past weekend, at different times but within a 60 minute span, that a Doctor of Psychology, a Pastor, and a college senior, all approached me and wanted to talk about my story for different reasons. None of this stuff just happens. It does happen, however, because God took an individual who for the better part of his life (time wise, not quality of life wise) learned to keep everything bottled up inside of him and out of sight of everyone else. God took this individual and said, “John, it’s time to be a little more transparent.” It was time to share my story and God was the only one who could, and who can, open up the avenues and pathways in order to make that happen. He has changed my life in ways that I never would have thought were possible. He has not only allowed me, but He has constantly shown me, the importance of opening up my life to others. To share my story so that others may feel freer to share theirs. To be transparent. Happy New year to everyone! I hope that you are all looking forward to 2016 as much as I am. It has been a while since I have written anything. Actually, a little over three months now. This is not because I really didn’t have anything to say, but more so because of my very real tendency to procrastinate. Not the best of traits to have, and something that I am really going to try and work on for this year, starting tomorrow (just kidding). A lot has happened since October. The most significant event being the birth of our new granddaughter, Savannah, who was born on December 12th. She is happy and healthy and looks just like the baby pictures of her mother, and our daughter, Jennifer. Which means that she will grow up to be absolutely beautiful, just like her mother and her grandmother (brownie points in case you weren’t keeping track). I have come to realize that I need to be “all in” with my faith. I cannot be a 1/2 Christian or a 3/4 Christian. Being all in, all of the time, is not an easy thing to do. It was not easy for Abraham or for Moses. It was not easy for King David and certainly not easy for the apostle Peter, who actually had a front row seat to Jesus and all that He was and did. Being all in takes time, it takes discipline, it takes an extreme conscientious effort. But more than anything, it takes being totally surrendered to God. I have several speaking engagements coming up in February and March. A few in Texas and a couple in the Detroit area. These are talks in relation to “10 Bits Of Wisdom From The Shoe Shine Guy – A Transformed Life”. They are about my particular journey and how God has transformed my life. But also, they are about my struggle to be totally surrendered to God. My natural tendency would be to put together a talk that is colorful and entertaining. Something that is much more at the surface, which is what I did when I started the process of writing “10 Bits Of Wisdom” over a year ago. Fortunately for me, and for the people who have had the opportunity to read the book, I have a wonderful wife who has never been about the surface and won’t allow me to keep going there. She has always challenged me to go deeper and to share what is deep down in my heart, and not what is only in my head. I am looking forward to sharing my story with people that I have never met before. To be able to possibly touch people’s lives and to be able to connect with them in a way that only God can make happen. There is a song that is sung by David Crowder called, “Oh The Glory Of It All”. One of the verses that is repeated over and over is “Things will never be the same”. 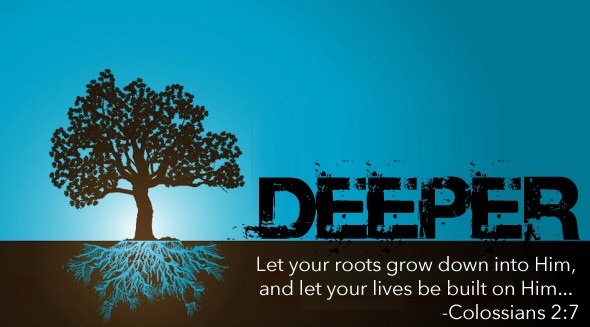 This refers to one’s life after accepting Jesus into it. This has resonated with me for over eight years now. My life has not been the same and will never be the same. God has called me to do things that I would never have imagined. He has stretched me beyond anything that I would have thought possible. If you get the chance I would ask you to take just a moment, get to a quiet place, and close the door. Listen to this song and see if it doesn’t move you as much as it does me. See if it doesn’t stir up the feelings of peace, and of love, and of hope. Just see where it takes you. Something extraordinary happened to me back on October 2, 1982. I didn’t know it at the time, I had no clue whatsoever, but I was about to embark on a journey that would change the course of my life forever. On that beautiful fall day 33 years ago, I had the good fortune of getting married to someone who has been my rock, my confidant, and my best friend ever since, my wife, Janet. 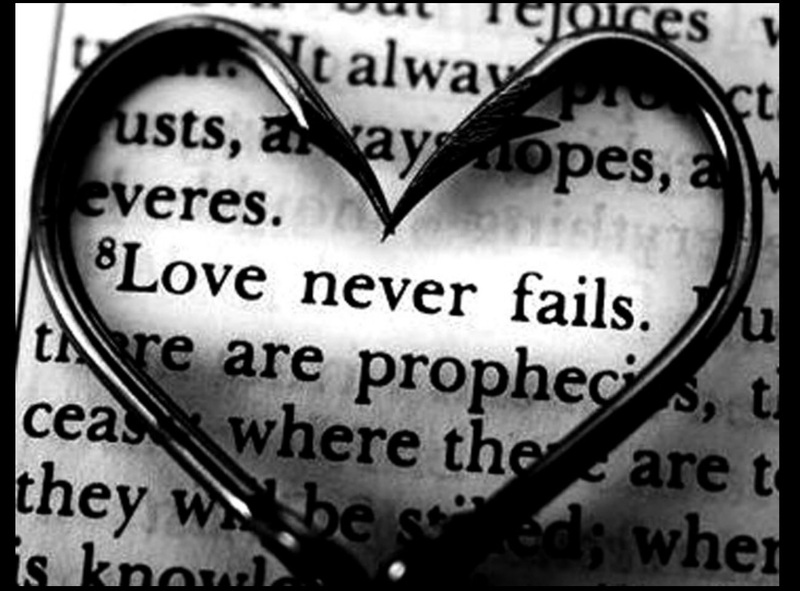 There is a reason that God tells us that love is the greatest gift of all. We can all have many different talents and be good, or even great, at so many different things. But if we don’t have love, we have nothing at all. It took me a very long time to truly understand this. It took God sending some young kid from Saginaw, MI all the way down to Corpus Christi, TX to meet the person who would show him what love really means. It took a 1300 mile journey and a chance meeting to open my eyes. Only God could do something like that. This was not, and is not, an easy concept to grasp. As a man, this was very difficult for me to understand for a very long time. I was a man! I was a warrior! I was not going to let an emotion like love weaken me. I would of course say the words “I love you” often and buy the obligatory flowers on all the right occasions. I was doing all of the “right” things that you are supposed to do when you love someone. But this was all of the surface stuff that I was so often guilty of falling into. I had to see for myself and experience what real love was supposed to look like. I had to learn what love was all about and feel deep down what that particular emotion was. Love is not something that we are born with. It is an emotion, and like most of our emotions, it is learned through time and experience. I had hidden most of my true emotions for most of my early life. I didn’t want to be hurt, ridiculed, or be made fun of. As a natural introvert, this became easy for me to do. Until, by the grace of God, Janet came into my life. 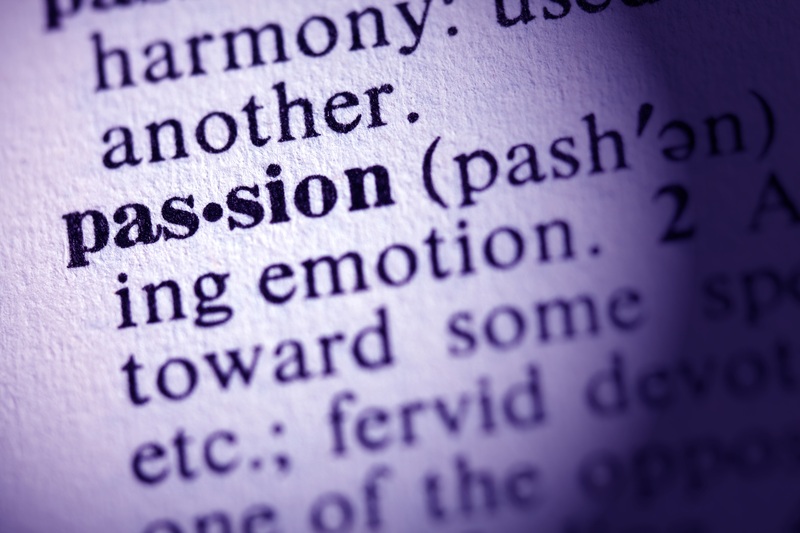 I spent the better part of last week thinking about what it was that I had written in my feeble attempt to describe passion.The more I thought about it, and continued to read it back to myself, the more it reminded me of a very bad Seinfeld episode. I said a lot of things about nothing really important, AND, none of it was even funny. I have come to better understand over this past week what I am passionate about. I am passionate about my God. A God who grabbed ahold of my heart on that cold, crisp day back on January 12, 2008. A God who long ago brought a woman into my life who fueled a passion for what it means to have a meaningful relationship, a marriage, a true friendship. A God who allows me, and encourages me, to go below the surface and to share my heart, my soul, and my faith with others. To not be afraid of looking too meek or mild or being concerned that others may perceive you that way. The western style of managing sheep is somewhat newer (hundreds of years). 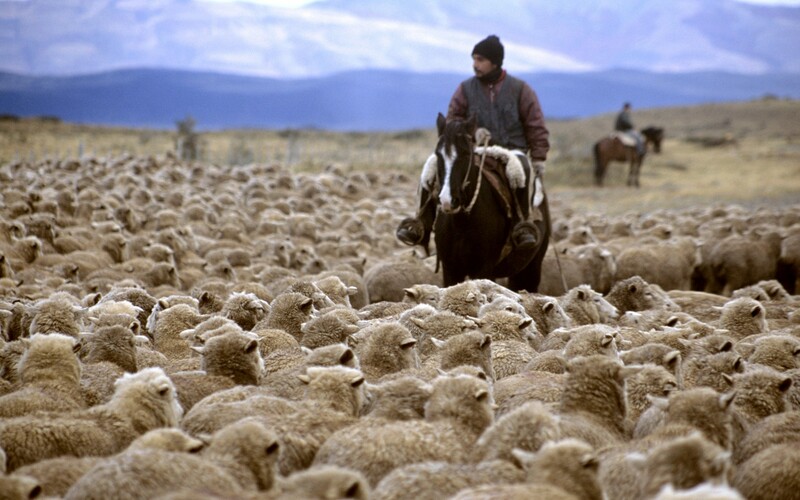 It involves driving the sheep, similar to a cattle drive. By driving from the back of the flock, this allows the sheepherder to handle many times more sheep than a shepherd would be able to do from the front of the flock. By driving sheep this way, the sheepherders know that there is going to be an attrition rate that they have to take into account – sometimes as high as 30% of the flock. If you consider some of the massive sheep ranches in Australia or even in the US, you begin to understand why they may drive thousands of sheep at a time. They need to start with this many because they know they are going to lose a significant number. 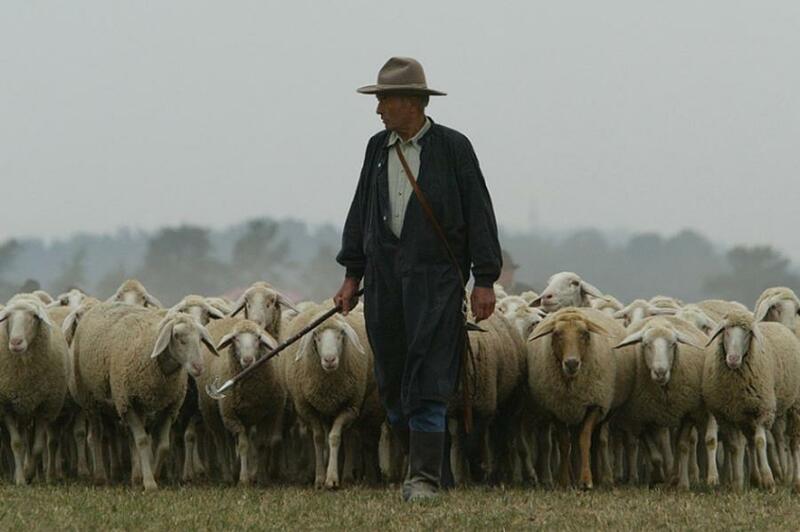 The shepherds from the Eastern parts of the world manage much fewer sheep. Their flocks are in the hundreds. Everyone in their flock is extremely important to them. They are all valuable and they don’t want to lose a single one. The following is a story, which explains the difference between driven and led. Joe Batten is one of the grand old men of public speaking and a member of the national Speaker’s Association Hall of Fame. He wrote the best seller “Tough-minded Leadership”. 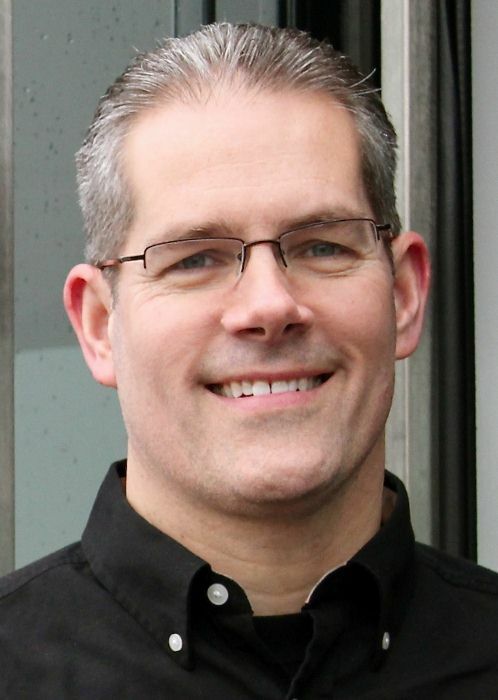 Some years ago, Joe was meeting with a group of 35 corporate CEO’s for a daylong seminar. Early in the presentation he asked how many were leaders in their company. Every hand in the room went up. “In the Middle East there are two countries separated only by a common border, which each have large sheep and mutton industries. The cultures of the two countries are radically different, and they are hostile to each other. In fact, they have fought wars with each other and they are fighting as we speak. 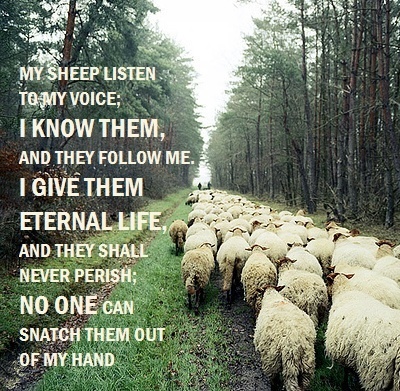 In the flocks where the shepherds walk behind and drives and pushes, and corrects, and is always in charge, the young sheep grow up afraid to stray from the flock for fear of being rapped up-side the head by the shepherd’s staff, or having the dogs sent out to round them up. They have no opportunity to explore for the better grass and water, or to play with other young lambs. They simply become obedient, passive and apathetic. By the time they are grown, they have lost all initiative. They are not really healthy. Joe Batten then asked the assembled executives once more, “How many of you truly lead in your company?” Not a hand was raised! Lt. Colonel Hal Moore, who led one of the first fighting forces into battle in Vietnam and co-authored the book “We were Soldiers”, which was later made into a movie, told this to his men before they left for their first encounter with the enemy: “I can’t promise you that I will bring you all home alive. But this I swear, before you and before Almighty God, that when we go into battle, I will be the first to set foot on the field, and I will be the last to step off, and I will leave no one behind. Dead or alive, we will all come home together. So help me, God.” This was a leader who not only led from the front but cared for each and every one of his men. It has been over six months since my last blog post. This doesn’t mean that I didn’t have anything to say or that nothing was on my mind (although I have been accused before of having nothing on my mind). There has been plenty on my mind and I have had plenty to say. The reason for no blog posts over that period of time is because I have been busy writing a book. Yes, a book! I was contacted late last year by Waldorf Publishing out of Dallas, Texas, about the possibility of writing a book. They got my name from someone who I had never had the opportunity to meet, but was a Shoe Shine Guy customer and had been reading my blog. This had been something that I had thought about doing many times over the years, but because of my tendency to procrastinate I just never got around to pulling the trigger. The phone call from Waldorf was just the push that I needed. It took me about four months to write the book and has been one of the most rewarding experiences of my life. 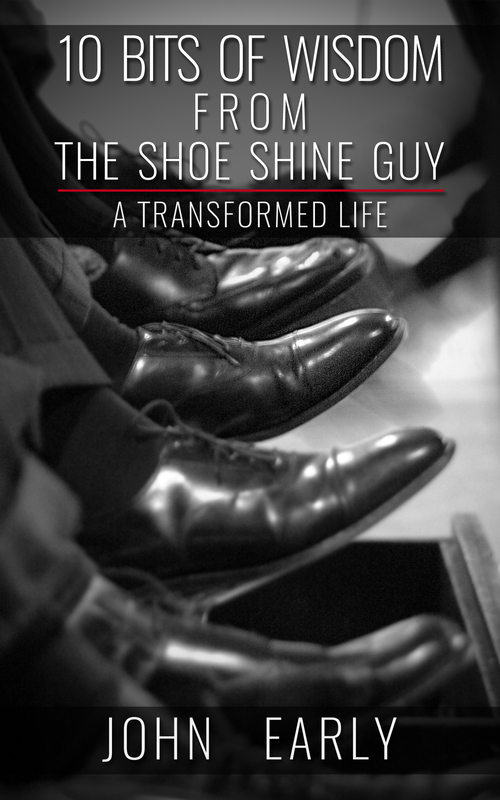 The book is titled: 10 BITS OF WISDOM FROM THE SHOE SHINE GUY – A TRANSFORMED LIFE. It incorporates some of what I have written about in my blog over the last several years, but delves much deeper into my experiences in the business world and my personal life, and how the two interacted over the years. It talks about priorities in life and how mine were misplaced for so long. It talks about how God changed my life forever on a cold, crisp January day back in 2008. The book will be released this October and can be ordered through Amazon as of the 19th of October. My hope is that by sharing my story and some of the pain that I went through, and a lot of the pain that I inflicted on others, that I will be able to touch some lives. That others will be able to see that no matter where we find ourselves that there is hope for us all. That we can all be transformed through Him. In the meantime I will continue to be The Shoe Shine Guy. I will continue to shine, and to fix, and to take care of all your shoe and leather needs, just as I have been for the past four and a half years. I will continue to write my blogs on a more frequent basis now, and will continue to look forward to all of the nice comments and conversations that have come my way over that period of time. Janet and I want to thank everyone; family, friends, and all of our customers, for all of your support over the last four and a half years. You have all made what we do an enjoyable and rewarding experience, and we could not be more blessed to have you all in our lives in some form or another. We have put together a web page for the book, www.10bitsofwisdom.com, and we will continue to update and add to it as we get closer to the release date for the book in October. In the meantime, I have written a few words that have been on my mind lately and wanted to share them with you. Enjoy! 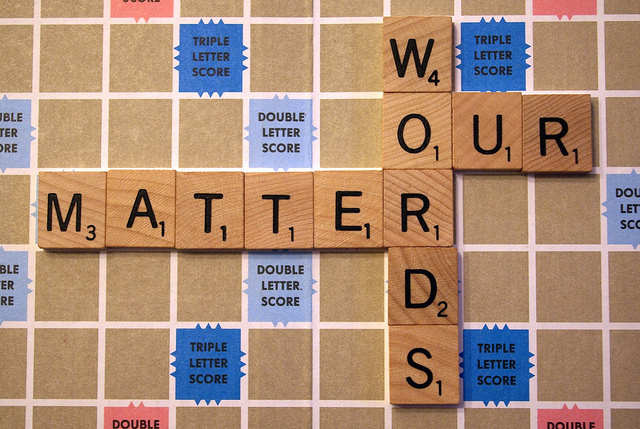 Have you ever stopped to think about the power of words? Their true meaning? Their inference? Their ramifications? Have you ever stopped to think about the effect that the words we use can have on others? Words are a powerful tool. They can be used to brighten someone’s day, or they can be used to tear someone down. For most of my life I was proud of the fact that I had a quick wit, a wit that I defined and explained away as being part of my “sense of humor”. I came to realize after about 50 years or so that this quick wit was often times more hurtful than helpful. It was more discouraging than encouraging. It was a defense mechanism that I had incorporated into my demeanor long ago to cover up for my insecurities and shortcomings. It was something that I often used to make me feel better about myself. The problem with that was that it more often than not came at the expense of making others feel worse about themselves. I’ve had to learn to slow myself down. To be more conscious of the words coming out of my mouth. To think about what message I am trying to convey and what is the best, most positive and encouraging way to do that. I am trying to take my quick wit down to a medium wit (if that is at all possible). This does not mean that I have to lose my sense of humor. What it does mean is that I need to be more aware of each situation and to think more precisely about what it is that I am trying to convey to someone else. I need to choose my words more carefully and make sure that I am conveying words of respect, kindness, sincerity and affirmation. The right words can build a person up and set them on the right course for a lifetime. The wrong words can do just the opposite. Mother Teresa once said: “Kind words can be short and easy to speak, but their echoes are truly endless.” Think about the words that you speak today. Think about how it is that you would like to be spoken to and do the same to others. How we communicate and how we speak to others will echo for a very long time, and will send out a ripple effect that will touch peoples lives for longer than we can know. 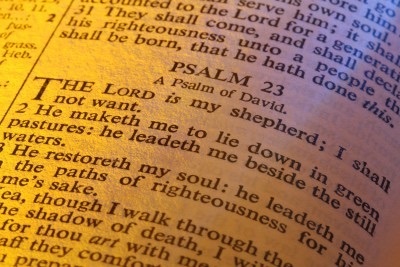 One of my favorite days of the year happens to be Thanksgiving, and one of my favorite passages from the Bible is Psalm 23. I thought I would reflect on both. It’s Sunday night as I’m writing this, three days after Thanksgiving, and I’m still full from all the turkey, stuffing, and pumpkin pie that I consumed. Why do I eat so much on this one particular day of the year? I continue to tell myself (usually Thanksgiving night right before I go to bed and I’m about 8 pounds heavier and in some discomfort) that I won’t do that again. So much for will power or self control. I really do love Thanksgiving though. 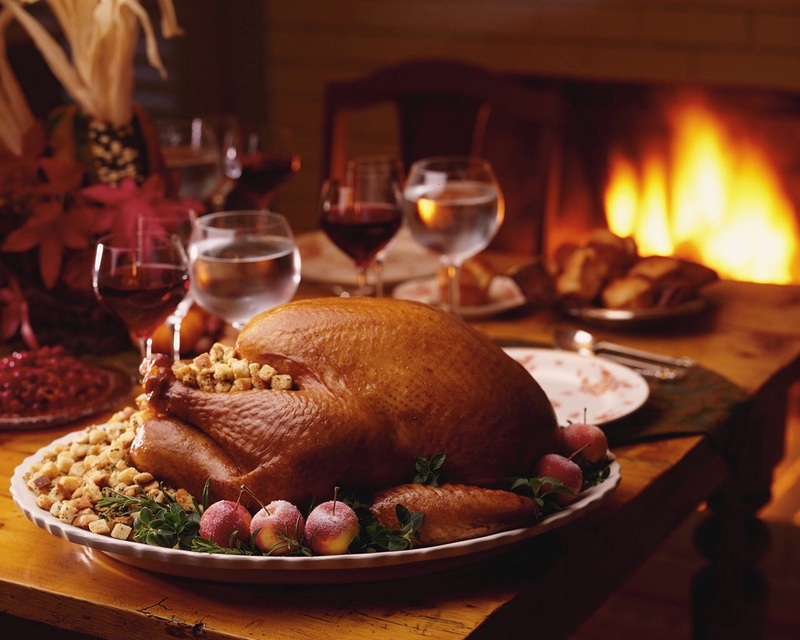 Not only the food and being able to get together with family and friends, but the whole idea of “Thanks Giving”. Taking the time on this one day to reflect and give thanks for everything that has been provided to me and my family. I appreciate the fact that we celebrate this day as a country as well. That we set aside one day a year to acknowledge what it is that we are all thankful for. I’m especially grateful that I have the opportunity to do this not only on Thanksgiving but everyday, to be able to thank God for everything, EVERYTHING, that He has given me. 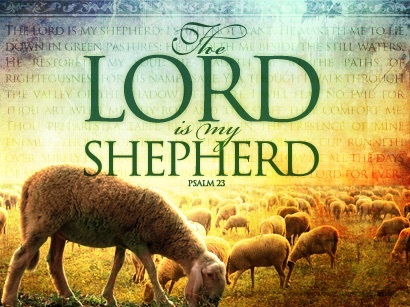 I’m thankful that THE LORD IS MY SHEPHERD AND I SHALL NOT WANT. Even though there are times that I find myself wanting. That HE MAKES ME LIE DOWN IN GREEN PASTURES AND HE LEADS ME BESIDE QUIET WATERS. Always guiding me through life as long as I remember to keep my eyes focused on Him. That HE RESTORES MY SOUL and continues to bring me closer to Him. I’m thankful that HE GUIDES ME IN PATHS OF RIGHTEOUSNESS FOR HIS NAMESAKE, and that even though I veer off that path way too often He always brings me back. I’m so thankful that EVEN THOUGH I WALK THROUGH THE VALLEY OF THE SHADOW OF DEATH, I WILL FEAR NO EVIL BECAUSE YOU ARE WITH ME; YOUR ROD AND YOUR STAFF GIVE ME COMFORT. How can I possibly be afraid when I know that God is with me, that He is always by my side. It says in Romans 8:31 – “If God is for us, who can be against us”? That gives me great comfort. I’m thankful that YOU HAVE PREPARED A TABLE BEFORE ME IN THE PRESENCE OF MY ENEMIES, which assures me that you protect and watch over me at all times. YOU ANOINT MY HEAD WITH OIL AND MY CUP OVERFLOWS which means that I have an abundance of anything and everything that I could ever want. I’m thankful that GOODNESS AND LOVE WILL BE WITH ME ALL THE DAYS OF MY LIFE, no matter what hardships, trials, or tribulations come my way, and that I WILL DWELL IN THE HOUSE OF THE LORD FOREVER. FOREVER, not the eighty or so years (on average) that I have here on this earth, but FOREVER. It is so comforting to know, and something that I cannot possibly be thankful enough for, that for all that God has provided for and given to me in my lifetime, that so much more awaits in eternity with Christ. In Philippians 1:23 Paul reflects on this, stating that to be with Christ is much better by far than anything you could possibly have here on earth, but that as long as the good Lord keeps us here there must be a reason, and that we are to continue to search for that reason and make the most of the time that has been given to us. I am thankful for the time the Lord has given me, extremely thankful. God has provided me with so much that I could never begin to thank Him enough. So another Thanksgiving has come and gone. Good food, good friends, good family time. Plenty to be thankful for. As Christmas fast approaches there will be a lot going on and plenty of distractions for all of us. My prayer is that we can all keep our eyes on what is really important, what really matters, what gives us our meaning in life. Keeping our eyes on Him. God bless and have a wonderful holiday season! How does one describe the perfect day? The perfect picture? The perfect landscape? How do you convey to someone else what real beauty means to you? 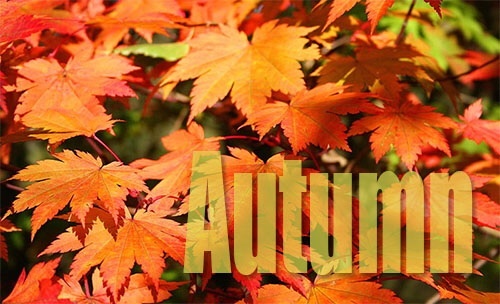 How do you describe Autumn? Autumn has always been my favorite time of the year. That season that falls right between summer and winter. It is usually void of too many extremes. Not too hot, not too cold. It’s a comfortable time. Pleasant. Relaxing. But the thing that strikes me most about Autumn is the beauty of it all. I am hard pressed to come up with another time of the year that exudes so much natural beauty. I truly believe and understand that every day is a gift from God, and that in itself makes it a beautiful day. But for me, God turns it up a few notches in Autumn. It’s as if you’re looking at a Van Gogh landscape bathed in neon lights. In a matter of weeks, or even days, the trees, like a chameleon, change colors. 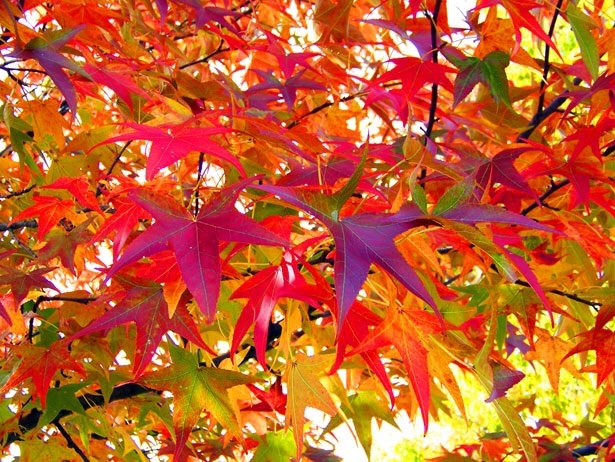 The most vibrant reds, the brightest oranges, and the almost translucent yellows. It often looks as though someone has hit the switch and actually turned the trees on. This time of the year, this landscape, this season, has always been special to me. It has been my favorite for as long as I can remember. The thing about seasons is that they don’t last. They are just that, seasons. Here for a little while and then gone. I think that is what makes them so special; they always give us something to look forward to. This Autumn will be gone soon enough. Then Winter will settle in for a bit (usually much longer than a bit). Then Spring, then Summer, and then Autumn again. Life is one big cycle. One changing season after another. I think that God does this for a number of reasons. One is to let us know that nothing is constant, except for Him. Seasons come and go, people come and go, but He never changes. No matter what “season” we happen to be in at this time in our life, He is right there by our side. Through the harshest winter, or the hottest summer; He is there. Whether we are having a good season or a bad one, He is there. That always gives me comfort. Knowing that no matter what comes my way, good or bad, happy or sad, pleasant or not, that He is there. He is my Autumn. He illuminates my day for me. He puts the color in my life. Seasons will come and go. The leaves will fall off the trees and the snow will come. Springtime will show up, summer will arrive, and then, we will be back at Autumn. All of this happens for a reason, most of which is beyond our understanding. Whatever your favorite season is, or your favorite day, or your favorite moment; Remember that it was created by God. He alone gives us our moments, our time, our seasons, our Autumn. 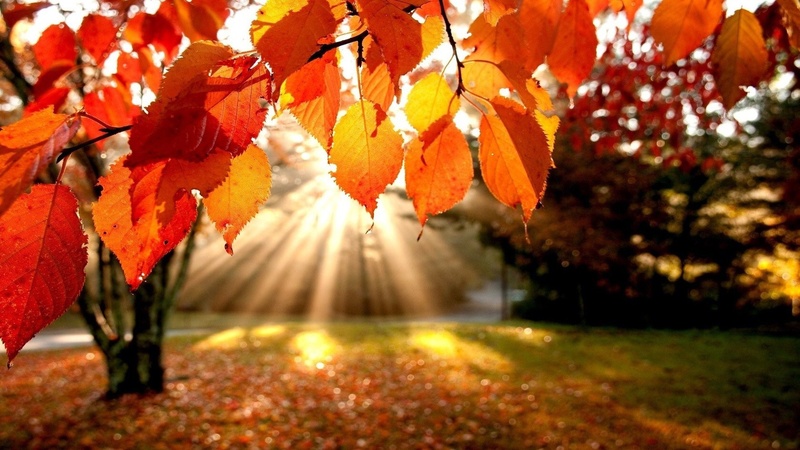 I thank Him for that every day and I hope that everyone can find their “Autumn” in their life. Ask Him and He will show it to you.